Description of Found Pet: Sweet, very friendly tabby mix. Kitty has been coming to my house every day for 3 days, and today st­ayed all day in the yard (can’t take him in – have several indoor-only cats & ki­ttens). Kitty seems healthy, contact via email to identify and provide further color description, ge­nder, and approximate neighborhood to co­nfirm. 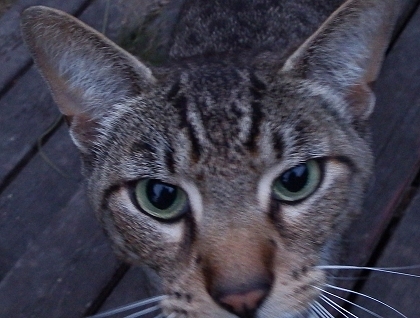 Kitty is clea­rly missing his peop­le and really wants to come inside! Please only email – it’s the fastest/be­st way to get ahold of me.